Just a few shots of the more modern stuff from The Other Partizan on Sunday. I was there doing my Society of Ancients stuff but managed to take my camera for a walk. 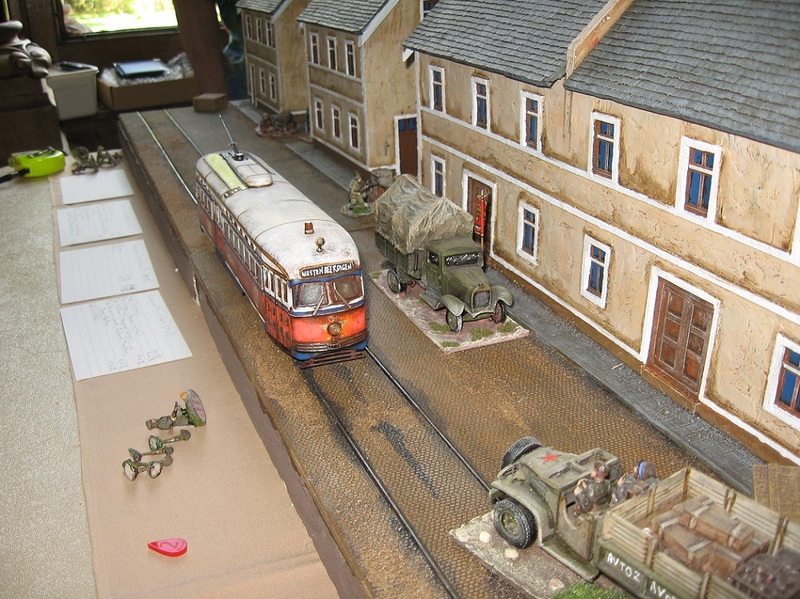 There’s something about trams .. But mostly I got chatting to the really nice man who’s just done those 15mm plastics (very neat – and available in 28 and traditional 20mm, too … now they did look very good …), chatted to Jervis Johnson about Black Powder (but that’d be for another blog), I bought some PP metal, and witnessed the end of ‘The End‘. 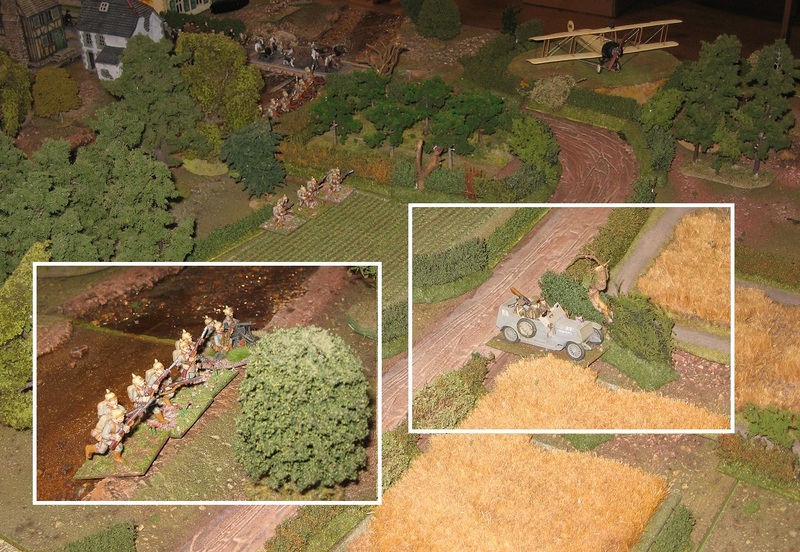 So, we got to the end: the enemies were at the gates … the Lancaster was overhead but the jet fighters were not ready. Even the Italian campaign had been lost and the 8th army was around the Alps! But my little bunker and my map and my mythical armies were all intact. Victory! It then transpired that maybe I wasn’t the last player to confront ‘The End’ (turns out Jerry may be taking it to an overseas show …)… So I thought, this may not have been the End, but it was perhaps the beginning of the end … (of ‘The End’). 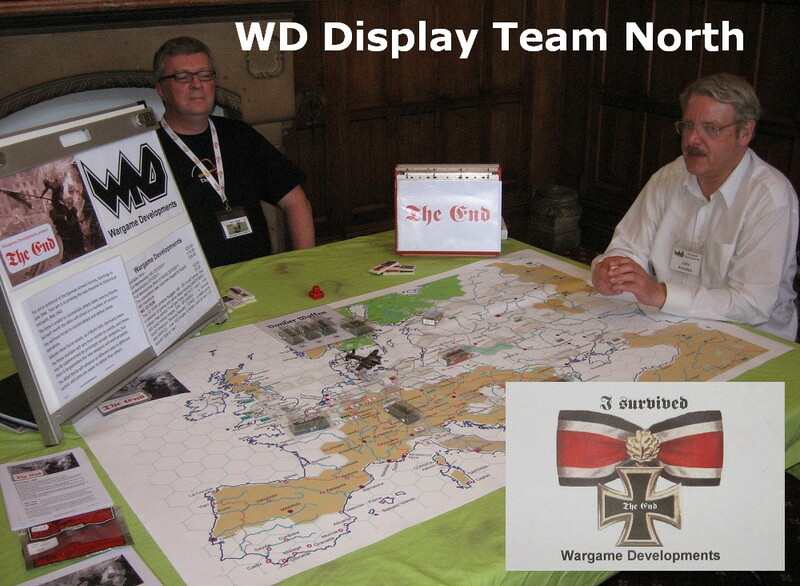 For more about WD, try the Wargame Developments Website (+ Tim’s blog is Megablitz and More). Enjoy. In a less surreal world, they’d have been flying by 1943.